The North Wales Dragons were formed in 2009 as a way to raise funds and awareness for various charities. 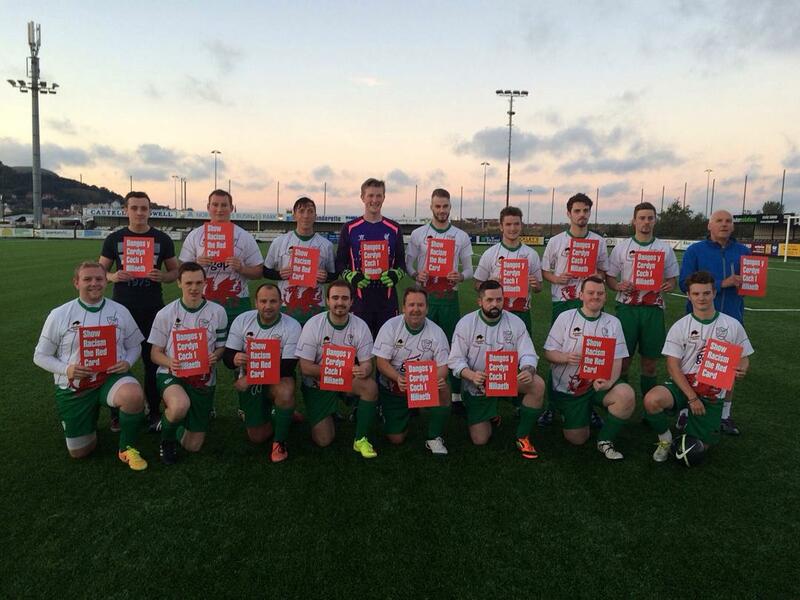 Our first match took place against a fellow charity football team, the Ayrshire Outsiders. Having raised £2000 for charity in our first year, we decided to hold another event the year after, since then our main fund raising day has become an annual event. Throughout the rest of the year we play many like minded football teams, helping them raise money for charities. Boots for Africa, Help for Heroes, Neves Charities, Clic Sargent and Cancer UK’s ‘Join the Fight Against Breast Cancer are all charities that have benefited from our involvement in fund raising which has seen us generate approximately £20,000.00 of money for good causes to date. Always wishing to build our walls higher with each passing year, we try and make each of our fund raising days bigger, in 2013/14 we have involved even more teams with the aim of raising money for more charities which include our main charity of the year ‘Make A Wish UK’, while other teams we are playing will be fundraising for the following good causes which include Clatterbridge Hospital Cancer Treatment Unit, St Davids Hospice, Help for Heroes, The British Heart Foundation and Accord Hospice. With the continuing success of the charity football team, in 2012 we became a not for profit social enterprise. Subsequently we are forming the ‘Plus’ Project. The project is aimed at demonstrating how business and good causes can work together for the mutual benefit of both parties. If you would like to be involved with the Dragons, we would love to hear from you.